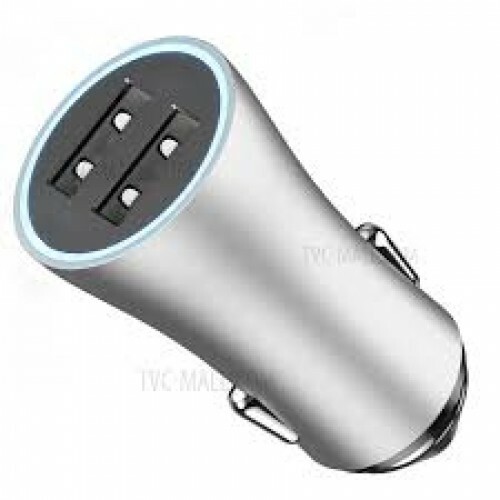 UGREEN 3 USB port Car Charger 1A+2*2.4A-Silver is the latest fast charging technology, QC 3.0 offers a 25% faster than QC2.0 and 4x faster than normal charging.his Car charger Compatible with FCP fast charging technology from Huawei, support Fast charging for Huawei V8, V9, mate8, mate9, P9, etc and Back-ward compatible with QC 2.0, QC 1.0 and normal USB charging and also with MTK PE fast charging technology,support fast charging for Meizu pro5/pro6 plus/M10/Mx6 .UGREEN dual port USB car charger with 4.8A output charges for phones and tablets, offers a great solution for power supply on the road. Arrive at your destination with fully charged devices, no more low power anxiety. Most phones with Qualcomm chipset support Quick Charge(QC) Technology, please cconfirm with your phone seller before purchasing;Samsung Galaxy S8+/S8/S7 edge/S7/S6 Edge plus/S6/Note 5LG G6/ G5 / G4 / G Flex2 / V10;Google Nexus 6, Pixel, Pixel XL; Sony Xperia Z3 / Z3 Compact / Z3 Tablet Compact / Z4 Tablet; HTC One M8 / M9 / A9, Oneplus 3/3T; Huawei P9/ Mate 9/ Mate 8/ Mate 7/ Honor 8 .Meizu pro5/pro6 plus/M10/Mx6 and USB-A Output: 5V/5.8A (Singal port 5V/2.4A Max).You can enjoy your phones and tablets while they are charing with the car charger. Watch a movie, enjoy your music playlist and never worrys about running out battery,The car charger even supports your Sat Nav with USB power source and guide you anywhere you wanna go.